I just recently planned and executed a trip to Disneyland for 12 people during the busiest time of year and far from what shows to catch or what rides to wait in line for, was the planning of getting in all the delicious foods Disneyland has to offer. We Disney addicts don’t take our snack foods lightly, and if you have a trip coming up soon, make sure to grab a few, or maybe all, of these foods to go while you walk around the parks. It isn’t impossible to enjoy all of these in a day, but to truly enjoy them, why not spread out this snack food crawl over the course of your trip. 9. Mac-n-cheese cone – We just happened upon these on our last trip to California as a very yummy breakfast. Yes, you heard me right, breakfast. They offer breakfast cones also at the Cozy Cone that are very good too. But the mac-n-cheese was by far the best, warmest and cheesiest breakfast we had while we were there. It is sprinkled with bits of bacon (which make it acceptable for breakfast) and is easy to eat while you are running to stand in line for the Radiator Racers. 8. Chimichanga – I think these giant secrets are going to catch on soon to those who may not know about them. They are sold at almost every cart that sells turkey legs and are so easy to eat while you are walking around the parks. They are just the right combination of crunchy and soft and not too spicy either. Most carts offer salsa if you need a little more kick to yours and they are big enough to share, that way you can save room for some other things on this list. 7. Cookies – Now I know there is plenty of options to find a yummy cookie at the Disneyland Parks, but the ones I am talking about we can only find at the candy stores in the parks. Candy stores with great cookies? Yep, and believe me, we have tried so many cookies from all over Disney, these win hands down. The chocolate chip cookies at Disneyland are already sold packaged as a Minnie Bake Shop item and if you want the same cookie baked fresh, head over to the candy shop in California Adventure. They are both the same cookie piled high with dough and chocolate chips and they make a great snack or light breakfast (not light on calories, of course). 6. Corn dogs – I know I have touched on the awesome-ness that is Disneyland corn dogs, but these are worth the hype. Over the holiday we stood in line for an hour to grab some of these made hot and fresh. I can’t really describe why these corndogs are so good except to say they must be putting some Disney magic in them because people come from all over to try them. They are pretty big, so again, don’t be afraid to share and they also come with chips or fruit or by themselves. They have carts for these at both Disneyland and California Adventure. 5. Pretzels – I couldn’t distinguish on my list between the plain Mickey shaped pretzels and the cream cheese filled ones because they are all so good. They make a perfect snack to grab and go if you don’t have time to sit and take a break. The Mickey shaped ones can be eaten with salsa or warm cheese and the filled ones are filled with a sweet cream cheese or a jalapeno spicy cheese. They can be found in both parks as well, so why not have one in each park, in case you can’t decide which one to try. 4. Churros – There is something special about the Disneyland churros that make them a very popular snack. They are always served warm with more than enough sugar and cinnamon on them to get you through your mid-afternoon hump. There are numerous places in both parks and even Downtown Disney where you can get your hands on a churro and your time in the parks won’t be too delayed since you can eat them while you are walking around. 3. Twists – If you have not gotten your hands, or mouth, on some of these twisty treats, do so as soon as you can. They are only sold at Maurice’s Treats in Disneyland and they are so good. They come in 3 flavors, with the occasional seasonal pumpkin. There is chocolate, strawberry and cheddar cheese. It is possible to have one as a meal and one as dessert…just saying. They are large, bready goodness that can be shared if you don’t want to devour it alone. But be warned, they are so good you may want your own to enjoy. 2. 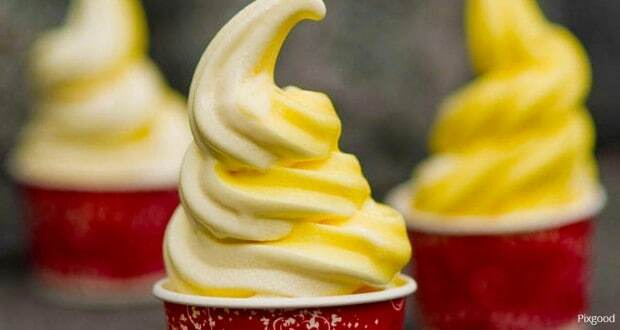 Dole Whips – What trip to Disneyland wouldn’t be complete without a Dole whip or 2 or 3…? I actual feel really bad that I sent my family back home to Texas without getting one of these. But it was so cold on the days we were there, I just didn’t feel like getting colder. At least I have a reason to make sure they come back. Dole whips are legend to Disney fans all over. The yummy pineapple treat served in Adventure Land have sparked fan clubs all over. They are a great treat on a warm day and you don’t have to worry about them melting, they usually won’t last long enough anyway. The cool chunks of pineapple served with soft-serve ice cream will be a treat to remember. 1. Beignets – Hands down the best beignets this side of New Orleans are at Disneyland. You have 2 options to enjoy these treats and that is at the Mint Julip in Disneyland and the Jazz Kitchen in Downtown Disney. The beignets served in Disneyland are none other than Mickey shaped and sometimes come in seasonal flavors as well as the original. The beignets in Downtown Disney are classic square shaped and served in bag full of powdered sugar to go. These puffed, doughy treats are a must for any snack trip at Disneyland. Just make sure to order enough to go around. You won’t want to share. In order to get all of these snack in while you are at Disneyland, you will need to map out the stops along with the rides and shows. We planned our snacks so that we were either in route to an attraction or waiting for one to start. Disney fans should never have to pick between food and fun, so make sure you include both in your visit. And if you feel like crawling at the end of having all these snacks, then your day was a success!